Try this small but illuminating experiment. 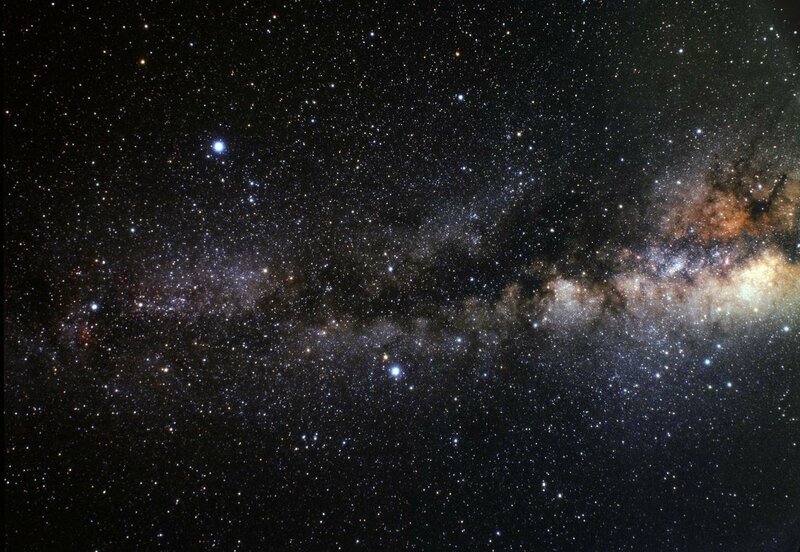 Below is an image of the Milky Way Galaxy. Focus your attention on this image for one minute. Don’t do anything other than look at the image. I know, your time is valuable and this is a big ask. One minute of sustained attention is a long time on the web. But see if you can do it. I’ll wait. Excellent. I’d like you now to take a moment to reflect on your experience. What kinds of thoughts went through your mind? Did you wonder why I am asking you do to this? Did you have the impulse to click or tap around? Did you experience anxiety or other emotions? Were you unable to complete the experiment? A universe of possibilities lies hidden within that single minute. Let’s explore that universe a bit. The experience of a single minute’s worth of unscripted attention might be described as mental wandering, or what these days is often called the default mode. It’s typically a moment of non-action, a small sliver of undirected time, in which you might be ambling along the beach or gazing at a star field. Most of us don’t actively seek moments of wandering these days. Instead, we constantly choose the path of endless distraction and activity. We don’t slow down, we don’t pause to look around, and consequently we don’t open ourselves to the world. This is a problem, and here’s why: moments of wandering and meandering cultivate wonder. And, in turn, the search for wonder is the source of most of our greatest achievements. The histories of all the arts and sciences are filled with stories of great moments of wonder gleaned from small, meandering, directionless moments. Wonder is a direct encounter with mystery. That encounter is the source of all of our growth and learning. How do those moments typically occur? There are many paths to wonder, but the most common are directionless walking, gazing – as we have done, in looking at the Milky Way – and bathing. The story of Archimedes making a great scientific discovery in the bath – and shouting Eureka! – is a good (and probably apocryphal) example of this pattern. The history of science includes many similar examples of discovery while meandering, gazing, and bathing – especially in mathematics and physics. But each of these pathways to wonder is essentially the same: a moment of relaxed, mindful, reflection and contemplation in which we open ourselves to what we ordinarily do not see. Here are two examples of that process. The first involves a story I heard several times while on trips with students, in the Amazon rainforest, in search of wonder. It’s a mythopoetic story about an ancient and colossal black caiman – a caiman is a kind of crocodile – whose body can be seen undulating across the night sky. You can see the body of the caiman between the bright bands of stars in the image below. Those stars are heroes and gods. The great caiman is surrounded by them and is locked in battle with them. The universe is held in tension by the forces of creation – represented by the gods and heroes – and the force of destruction, which is the caiman trying to swallow the universe. The caiman’s mouth is forever trying to close upon and crush the universe, to draw it into its gullet and destroy everything. The heroes and gods are forever trying to prevent this fate, and the mythic cycle is sustained by this struggle. As it closes and is held open, the caiman’s mouth is at the center of this cosmic narrative. This story, which involves the cultural practices of myth-making, is the result of people gazing upward, in the quiet night, and feeling wonder at the spectacle before them. We can use the same image for our second example. It involves astronomers who began, as children, with the experience of gazing at the night sky with wonder. Those early experiences led them into further gazing, with tools and machines, and to the same kinds of questions as our Amazonian friends: what is it, what does it mean, what can we know? Astronomers have been gazing patiently at the galaxy for centuries. Recently they have discovered that a colossal black hole lies at the galactic center. You can find the location yourself: it lies near a group of stars called the teapot, which is near the lower right quadrant in the image above. If you imagine steam wafting from the top of the teapot, that steam is the galactic center. The black hole is hidden by a band of dark dust clouds that astronomers call the Great Rift. These clouds undulate across the spine of the Milky Way. The black hole, like the black caiman, might be thought of as a great, devouring monster. After all, the black hole lies precisely within the mouth of the caiman from our first story. In both of these examples, our wonder leads us forward. What the cosmic tapestry is, what it means, and what we can know about it – all of this derives from the simple path of gazing with wonder. These two examples are two sides of the experience of wonder, two perspectives from two different cultures. But in each of them, wonder drives the narrative. Wonder leads us to the big questions, connects us to ourselves and others, and provides pathways to meaning. Currently we experience many small wonders, piecemeal moments of fascination and distraction with which we fill our days. Recently, when I took my university students for a meandering walk in the forest, many of them said they had never experienced such stillness and quiet. It unsettled them, yet also helped them to feel more connected. That’s what moments of stillness and wonder do. Wonder is the beginning. It is often uncomfortable. When we fail to find such moments, we become lost, disconnected, isolated. We cannot discover meaning on paths without wonder. As an educator I work with many young people who struggle with depression, anxiety, and the search for meaning. Most of them are involved in constant distracted activity that leaves no room for wonder. They become stuck in endless, frantic, fruitless activities that only lead them further from themselves. They are searching for a destination to which their frenetic lives cannot deliver them. In my addictions consulting I also encounter many people who are lost and wandering, searching for authentic wonder in digital worlds that cannot provide it. Those worlds are small wonders – fun and engaging to be sure – but they are not sustaining enough to offer greater purpose and meaning. Digital and virtual realities provide just enough small wonder, just enough immersive fascination to divert some people entirely. They become addicted to elsewhere worlds and substitute meanings. Their devotion to small wonder entails many sacrifices in daily life – particularly with social connections – and this process incrementally increases their isolation and distress. In turn, their access to authentic wonder is diminished. They experience no moments of relaxed meandering, no stillness, no wonder. This problem is not restricted to the young and the vulnerable. It reaches into the very fabric of our always-on, ever-driven, exhausted cultures. Our big problems – climate change, global conflict, poverty – are connected to our small and individual problems, in the same way that the astronomer and the myth-maker are connected to the cosmos. In each case, wonder is the bridge that joins the personal to the universal. We need more wonder. We have enough small wonder already. We need authentic wonder: that feeling of deep mystery, connection, and meaning. Our ongoing commitment to wonder might start with something simple: taking the time to slow down, to be mindful, to be open and curious; to choose small moments where we can practice finding wonder together. Let’s try that. 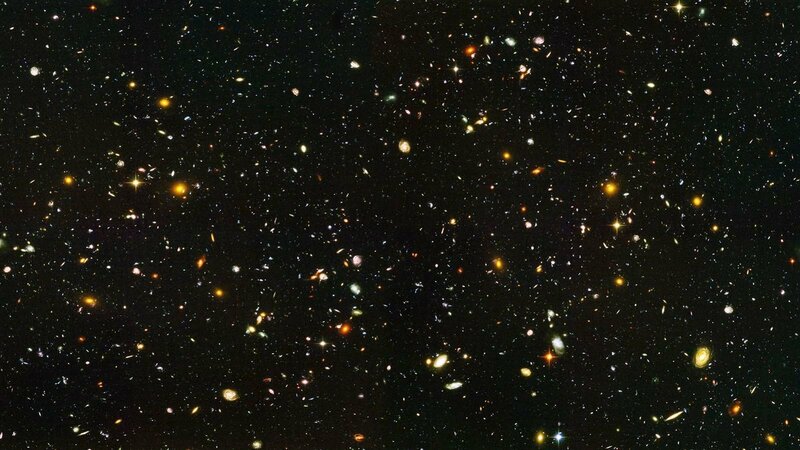 Below is an image of the Hubble Ultra-Deep Field, in which there are roughly 3,000 galaxies. That’s about the same number of galaxies as the stars we saw in the image at the beginning. 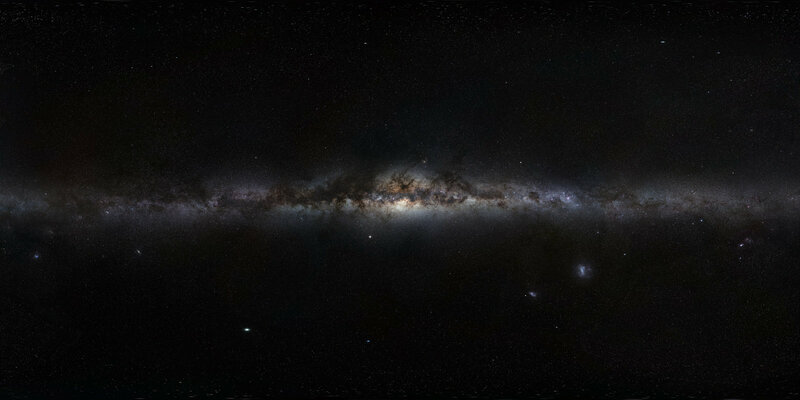 The number of stars in this image is unfathomable. Allow yourself to experience this image for one minute, just a small sliver of your day, a tiny crack in which the universe is hiding.